Add 2 or more Ultimate C & save, discount applied at checkout ! Have you been suffering from repeated illnesses you simply can’t seem to shake? Are you feeling frustrated by a lack of energy and clarity? Are you having difficulty losing weight? A superior, new delivery system for Vitamin C has been shown to enhance the digestion and processing of other vital nutrients. The more efficiently you absorb your nutrients the more likely you are to overcome your health challenges. 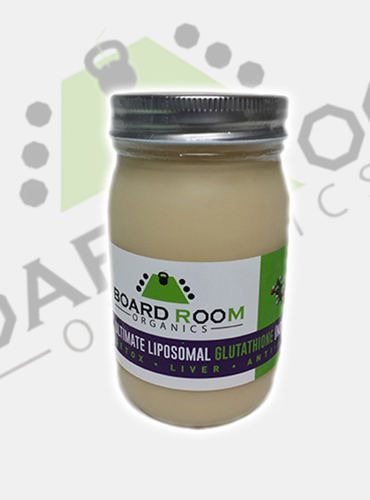 Because of its superior delivery system, Liposomal Vitamin C is the most effective way to ensure the right amount of this extremely important nutrient is included your diet. Vitamins are nutrients your body needs to efficiently develop, repair, and regenerate. Vitamins can be fat-soluble or water-soluble. Fat-soluble vitamins like Vitamin A, D, E, and K dissolve in fats and oils—and are absorbed by your body in the fats and oils you consume each day. Excess amounts of these vitamins not used in your body during their initial circulation are stored in fatty tissue. Vitamin C is water-soluble. It dissolves —and is absorbed by your body— in water. But, unlike fat-soluble vitamins, your body can’t store what it doesn’t use. What your body doesn’t use, during this vitamin’s brief time in your body, is eliminated during the day through the kidneys and bladder. Water-soluble vitamins require daily supplementation. Obtaining the correct amount of Vitamin C necessitates a diet that consistently includes fruits and vegetables such as: broccoli, citrus fruits (oranges, lemons, limes, grapefruits), bell peppers, and tomatoes. Unlike many animals like amphibians, reptiles, and most mammals, our bodies (and those of other primates) cannot internally create Vitamin C.
WHY IS VITAMIN C VITAL FOR YOUR HEALTH? The human body requires Vitamin C to create and repair all its tissues. Vitamin C also helps protect the immune system. This is why eating oranges or drinking lemon tea are typical home remedies for battling the common cold or the flu. Vitamin C aids in the activation of Vitamin B and Folic Acid, as well as the creation of serotonin, a powerful neurotransmitter. Produced by nerve cells, neurotransmitters facilitate communication between the many types of cells in your body. Serotonin helps regulate mood and when in correct levels, it can prevent chronic depression. Vitamin C is an irreplaceable component of collagen, a protein your body uses to create healthy skin, cartilage, tendons, ligaments, and blood vessels. Collagen and Vitamin C are essential for wound healing. To absorb iron from non-animal sources—and thus maintain strong bones and teeth—our bodies require Vitamin C.
Since it is also an antioxidant, Vitamin C has even more benefits to the body. Like other well-known antioxidants (Vitamin A and E), Vitamin C blocks some of the damage caused by free radicals, the substances that can harm your DNA. Over time, too many free radicals can accelerate the aging process and the progression of health issues and diseases like cancer, arthritis, and heart disease. Vitamin C is so crucial that deficiencies can result in dangerous condition known as Scurvy. Scurvy produces spongy gums, loose teeth, and bleeding wounds in the skin and mucous membranes. The word “liposome” is a combination of two Greek words: “lipo” which means “fat,” and “soma” which translates as “body.” Together, these words describe the structural nature of liposomes: spherical “bubbles” (known as vesicles or “bodies”) with a double-layered surface containing at least one fat layer (the lipo). The structure of a liposome mimics the cellular wall structures found in your body. Because of this similarity, your body will more readily and easily absorb the nutrient contents of a liposome. These spheres can quickly and effectively deliver high concentrations of specific nutrients, while avoiding the many negative or uncomfortable side effects associated with high doses of certain vitamins and/or pharmaceuticals. The combination of Vitamin C and essential phospholipids (the lipo or fat) exponentially strengthens its bioavailability—how easily your body can use the vitamins and minerals you ingest. 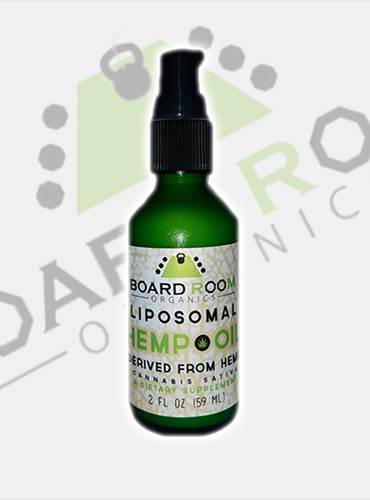 The liposomal structure is not only faster when delivering higher amounts of effective substances to the body, it also protects and preserves the integrity of the active ingredients until your body successfully absorbs them. It also diminishes or eliminates negative effects. 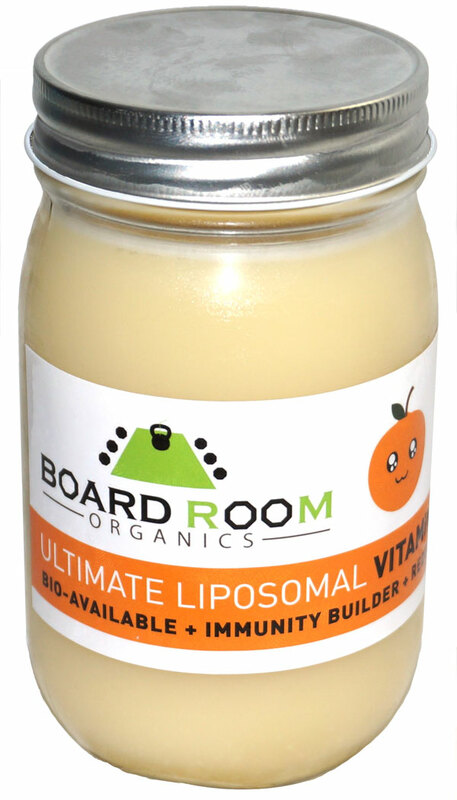 Liposomal compounds consistently avoid the dangerous, diarrhea-inducing thresholds of orally administered Vitamin C, because of their high bioavailability. Unfortunately, when taken orally, or delivered intravenously as a non-liposomal compound, Vitamin C is absorbed slowly. Only about 20 percent of that Vitamin C will be properly absorbed at the cellular level. 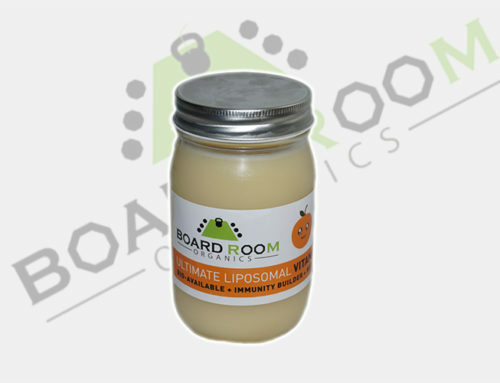 The majority of each non-liposomal dose normally leaves the body as waste before it can effectively treat health issues. However not all liposomal Vitamin C supplements are equal. 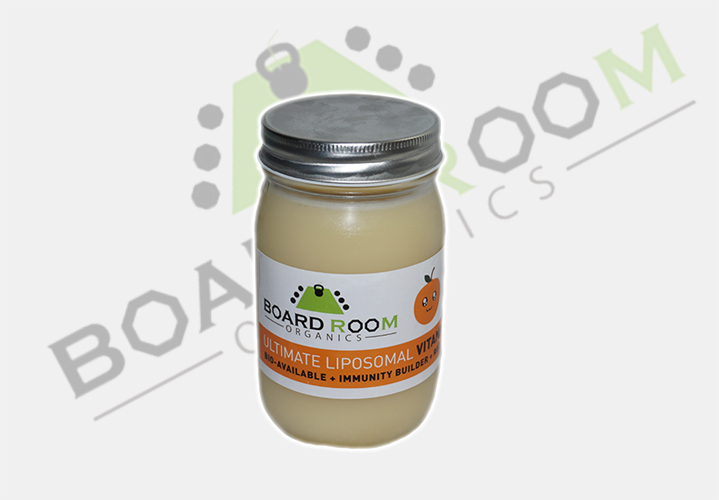 Our recommendation is the product from Boardroom Organics, Ultimate C. This liposomal Vitamin C supplement is made of the highest-quality, natural ingredients with no preservatives or fillers. It is carefully packaged in glass to ensure no hormone disruptors or trace chemicals enter the product. 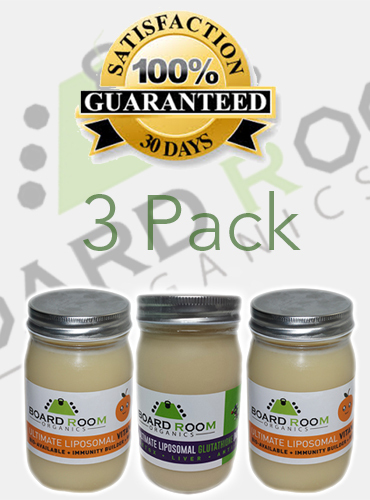 Boardroom Organics Ultimate C manufactured in GMP laboratories, quality-controlled through a strict ten-point check, and is always GMO-free. 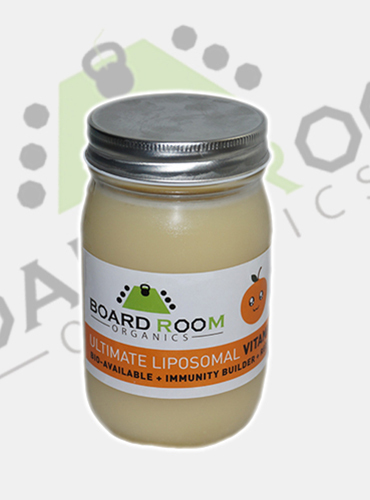 Previously, liposomal Vitamin C has been extremely costly and out of reach for many people. Boardroom Organics has labored to make it available to everyone who is ready to take the next proactive step to protect and preserve their health. Ultimate C is helping customers of all ages proactively mitigate the symptoms and discomfort of a variety of health concerns.